One of the places that I failed to mention that most people completely overlook when building brush shelters and stake beds for crappie is to build that crappie habitat where it’s isolated cover with no other type of crappie attractant close to it. 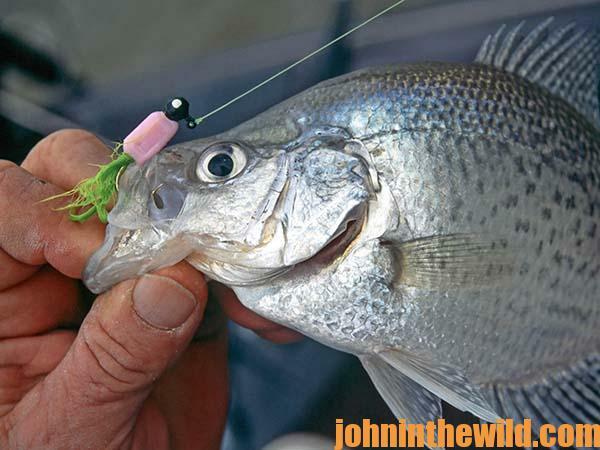 If crappie are cruising across a flat, swimming down the edge of a creek channel or a ledge or moving down a bank with no cover, if you build a stake bed or set-up a brush shelter in these kinds of places, you give that crappie a home where it can live for a day, a week, a month or several times during the year. 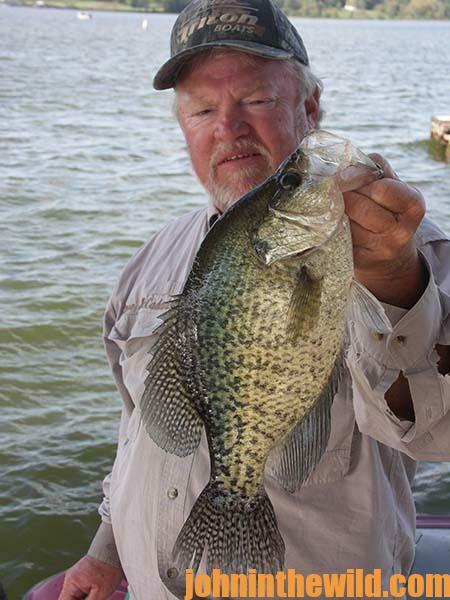 Putting stake beds where people in their right minds won’t think to fish for crappie can be extremely effective at certain times of the year. Normally, when I’m building stake beds, I’ll have them 30- to 50-yards away from each other. Sometimes, I’ll build a line of stake beds, and then I can fish down that line of six to eight stake beds. However, even then, I won’t have another line or cluster of stake beds or brush shelter within 30- to 50-yards of each other. 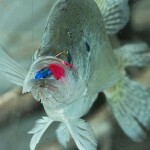 I can expect to catch crappie at that same depth on all my crappie attractors, in that same zone. 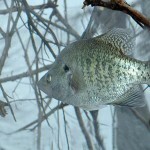 I’ve fished brush shelters at 12 feet and caught a good number of crappie. Then, I’ve moved to a brush shelter at 10-feet deep and not gotten a bite. 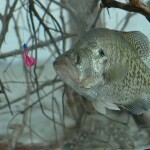 However, if I go to another fish attractor at 12 feet, I may start catching crappie again. 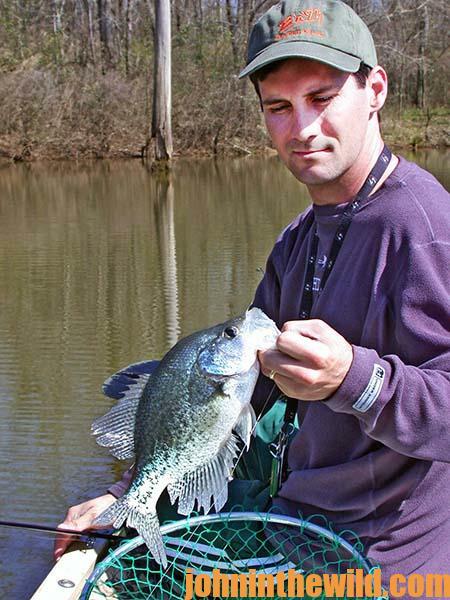 I really think the most-important factor in catching crappie every day is to know the water depth the crappie are holding in – not only on that day, but almost every hour of that day. I’ve rarely if ever put out brush for crappie and not had that brush produce crappie. However, most of my stake beds and brush shelters only produce crappie at certain times of the year. This is the reason that over the years I’ve developed the system of crappie farming that has been so successful for me. 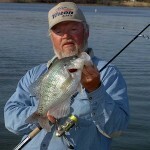 I’ve learned which stake beds tend to produce the most crappie every week and month of the year. Also, I’ve learned that certain brush shelters only will produce crappie at specific times of the year. I can honestly say I don’t think I’ve ever put out cover for crappie and the time and effort I’ve put into sinking that cover hasn’t paid-off with crappie dividends. 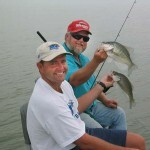 For instance, I never fish my shallow-water stake beds, except when the crappie are moving up to spawn. I never fish my extremely-deep brush tops, except in the coldest parts of the winter. I have some fish attractors that I may not fish but 2 weeks per year. 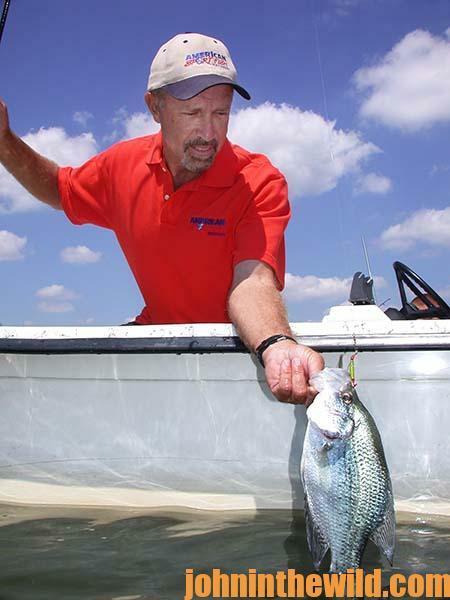 Even small crappie attractors may produce 30 or 40 keeper-size crappie in one day. 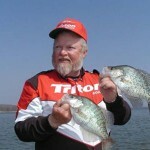 I have caught 50 or 60 crappie off a small fish attractor a few times. I try to build these fish attractors, so they’ll produce six to eight keeper crappie every time I fish them. To keep these numbers up, I don’t put too much fishing pressure on any one spot, at any time of the year.